One of the most celebrated holidays for kids and adults alike is tomorrow! Saturday, October 31st will be filled with fun costumes, tasty treats, and of course a few tricks, too! We have compiled a few great resources for your Halloween preparation including last minute costume ideas and safety tips. May your Halloween be filled with candy and memories with your loved ones! If you haven’t found a costume for your or your loved one, have no fear! There are plenty of cute and ghoulish ideas you can bring to life. Remember, dressing up and decorating your wheelchair with costumes should be fun so enjoy getting creative and letting your favorite Halloween personality come out. It doesn’t matter if you like scary or sweet, as long as you are having fun that is all that matters! You can literally find inspiration for every topic on Pinterest. It really is a one stop shop for any idea. We found this board which has great ideas for wheelchair costumes! But don’t stop there, type in anything and see what the wonderful world of Pinterest can show you! The Christopher & Dana Reeve Foundation always have fun photos and videos of great costume ideas for wheelchair users. From your favorite Disney character to rockers and pirates, you will find it all here! With the goal of “putting a smile on the face of every child in a wheelchair,” Magic Wheelchair is an incredible non-profit organization that brings any wheelchair costume to life for children. If you are unable or don’t want to make your own costume, this would be the organization to look into. 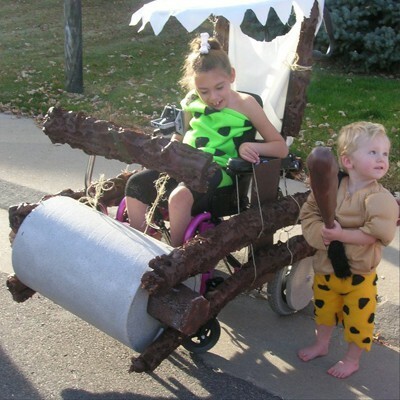 Each year, they select five kids and make epic wheelchair costumes for their Halloween celebration. To learn more about how they do it, visit their site. You can even donate to Magic Wheelchair which will help fund the costumes for deserving kiddos! Always have a buddy (or a parent) with you. Never go out alone. Plus you will have more fun together! Decide on a route before you go and stick to it. This will help you not get lost or lose track of time. 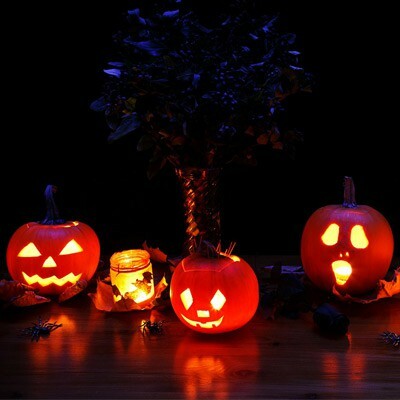 Try to keep trick-or-treating to daylight hours which will help you see the environment better. Just in case, bring a flashlight if it does get late. Obey traffic signals and look both ways before crossing any street. Don’t walk in the middle of a road or street. Use the sidewalks wherever possible. If you or your child is using a wheelchair, make sure you have someone to assist with pushing. If you have a power wheelchair, be sure to charge the battery before you go. Banner Kids - "2010 Halloween Trick or Treating October 31, 2011 Photo Copyright to Steven Depolo, Flickr"